A chic and glamorous crystal bathroom ceiling light with quality and style that is the perfect choice for any luxury bathroom. 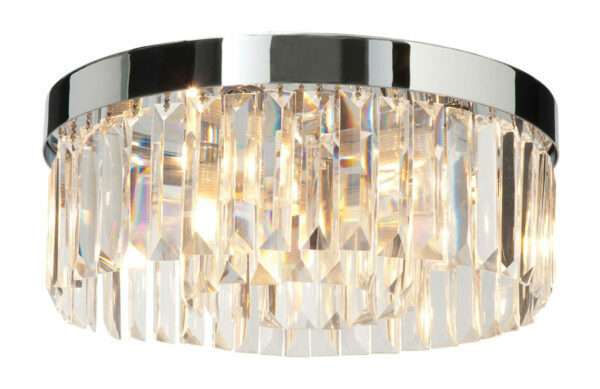 Chrome finish circular frame and ceiling mount, with masses of facetted crystal rods. Supplied complete with dimmable halogen lamps for crisp lighting. Rated IP44 and suitable for bathroom zone 2. May be used in bathroom zone 1 if used in conjunction with a 30MA RCD.